Beginning in the early 1900's, every state throughout the United States had enacted some type of workers' compensation protection for workers who were injured on the job. Workers compensation was enacted to eliminate an older system which allowed workers to file personal injury claims against their employer. Personal injury claims often resulted in lengthy legal battles and an expensive process for the employee to prove their employer's negligence contributed to their work injuries. Workers' compensation is a no-fault insurance and became a statutory solution to providing medical compensation and wage loss protection. 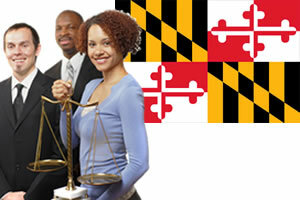 Maryland workers' compensation is however, a trade-off for both the employee and the employer. The employee, while getting immediate benefits, may sacrifice a larger pay-out than they may have received if they had won an injury claim. Employers must purchases workers' compensation and make payments they may have avoided if they had won the court case. Workers' compensation can be complicated and state laws vary. Employers may be helpful and provide all the necessary Maryland workers' compensation benefits, but if your employer denies workman's comp or does not help you get the workers' compensation benefits you need, contact a Maryland workman's comp attorney for help. Maryland workman's compensation benefits are only provided to workers who have a employee/employer relationship and who are injured in the course of their job. Work injuries may not be covered if the employee was injured while they were intoxicated, was not using employer provided safety equipment, was horse playing or was trying to intentionally hurt themselves or others. The state of Maryland provides the following types of workers' compensation benefits: medical benefits, death benefits, vocational rehabilitation, temporary total disability benefits (TTD), temporary partial disability benefits (TPD, permanent partial disability benefits (PPD) and permanent total disability benefits (PTD). More information about each benefit is listed below. Medical Benefits - Necessary and reasonable medical benefits including medical, surgical, hospital and nursing services are provided to employees who have suffered an accidental work injury or occupational disease. Medical benefits are provided under Maryland workers' compensation law indefinitely. Death Benefits - Death benefits are provided to the dependents of deceased employees who die from their work injury or occupational disease. The amount of death benefits paid depends on whether they were partially or fully dependent on the deceased. Reasonable funeral expenses are also paid which can not exceed $2,500. According to Maryland's workers compensation commission, "if the covered employee died as a result of an accidental work injury within seven years from the date of the accidental injury or an occupational disease and the claim arose after October 1, 1998, that amount has been increased to $5,000.00". Temporary Total Disability Benefits (TTD) - Temporary total disability benefits (TTD) are paid to Maryland employees who are injured and unable to return to work for at least four days. TTD benefits are only paid to injured workers who are considered totally disabled. If the disability period lasts for 14 days or more the employee may receive TTD benefits for the first 3 days of missed work. TTD benefits are paid at 2/3 of the worker's average weekly wage up to the state's maximum allowed under Maryland workers' compensation law. Temporary Partial Disability Benefits (TPD) - Temporary partial disability benefits (TPD) are paid to Maryland workers who are injured but who are able to work at a reduced work capacity. TPD benefits are paid if the employee's wage is reduced due to their work injury. TPD benefits are 50% of the difference between their previous average weekly wage and their current wage, up to Maryland's maximum allowable amount. The Department of Labor calculates Maryland's average weekly wage each year and according to Maryland's Workers' Compensation Commission "in no case are the benefits to covered employees less than $50.00 (fifty dollars) per week, regardless of the individual's average weekly wage". Permanent Partial Disability Benefits (PPD) - Permanent partial disabilities are work injuries which are serious enough to leave a worker partially impaired but the worker is able to return to some level of work. Permanent partial disability payments continue for the amount of time outlined in Maryland's state statutes and will vary based the severity of the work injury and the body part which was injured. For example, payment for losing a thumb is 100 weeks but losing the 4th finger is 25 weeks. Permanent Total Disability Benefits (PTD) - Permanent total disability benefits (PTD) are paid to employees who are injured on the job and are unable to return to any type of employment. PTD payments are 2/3 of the worker's average weekly wage, subject to a state maximum equal to Maryland's average weekly wage. Cost of living adjustments are made annually. PTD benefits may be offset by Social Security Disability benefits.